I love winter weather, and not only because of the promise of Utah's champagne powder. It gives me an excuse to indulge in hearty winter libations—the type that, hot or cold, serve to warm the heart and soul. Here are a few of my local faves and where to find them. We might think of fireworks as a mostly summertime phenomenon, but at Avenues Proper (376 Eighth Ave., Salt Lake City, 385-227-8628, AvenuesProper.com), the Firecracker cocktail will light up the darkest and dreariest winter day. It's a potent potion made with 1800 Silver Select 100-proof tequila, Cointreau orange-flavored liqueur, spicy jalapeño pepper, fresh cilantro and lime, served on the rocks. Try it with the duck-fat-cooked "Prop-corn." 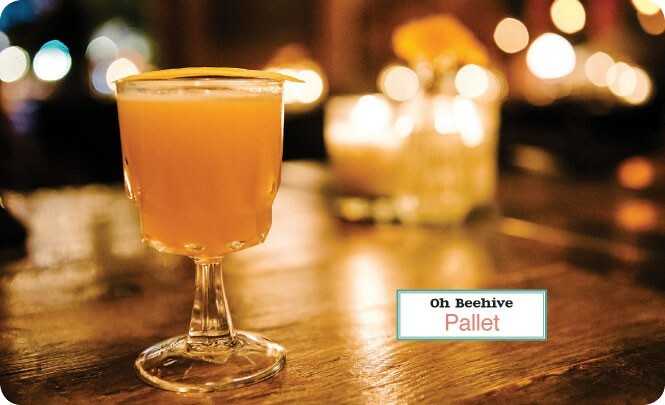 The well-crafted cocktails at Pallet (237 S. 400 West, Salt Lake City, 801-935-4431, EatPallet.com) are things of beauty, and none more so than the Oh Beehive, a sassy, hot-to-trot concoction made with apple brandy, local artisan honey, fresh lemon, herb-infused Amaro Nonino Quintessentia and citrus bitters. Are we really in the Beehive State? 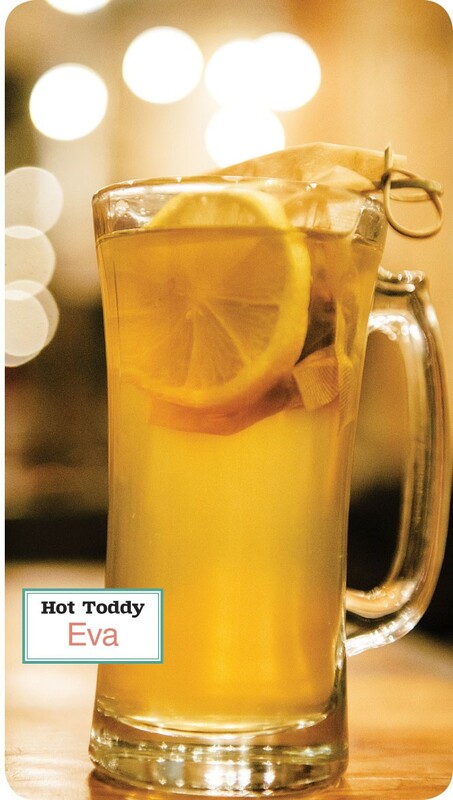 If there's a more iconic winter cocktail than the Hot Toddy, I haven't found it. 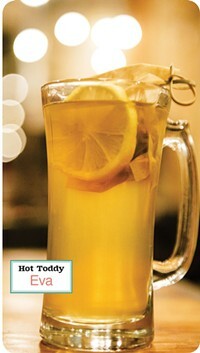 All Hot Toddys have a common booze—usually rum or whiskey—along with hot water, a sweetener such as honey, and some citrus. At Eva (317 S. Main, Salt Lake City, 801-359-8447, EvaSLC.com), the Hot Rum Toddy—made with Pyrat XO rum, spiced rum syrup, orange bitters, a cinnamon stick and an orange rind—is so soul-warming that City Weekly Editor Rachel Piper says, "I loathe winter but three things make it bearable: boots, coats and Eva's Hot Toddy." I've written before that Park City's High West Distillery & Saloon (703 Park Ave., 435-649-8300, HighWest.com) is an adult fun zone that just happens to serve world-class, Utah-made whiskey and equally award-worthy cocktails. Take a bite out of winter's chill at High West Distillery with the Western Apple, a spicy blend of High West Double Rye, Calvados, honey syrup, lemon juice and cinnamon tincture with a cinnamon-stick garnish. Call me crazy, but although the Sazerac is historically linked to New Orleans, which I doubt has ever seen snow, I still love drinking America's oldest cocktail during the depths of winter. At Whiskey Street (323 S. Main, Salt Lake City, 801-433-1371, WhiskeyStreet.com), the Sazerac is as good as it gets: a tasty blend of Bulleit Rye Whiskey, cane sugar and Peychaud's Bitters, served with a peel of lemon in an absinthe-coated glass. Maybe it's a gray day outside, but inside at The Wild Grape New West Bistro (481 E. South Temple, Salt Lake City, 801-746-5565, WildGrapeBistro.com), you can turn on the heat with the scrumptious Shade of Gray cocktail. It's made with High West Double Rye, bergamot tea (aka Earl Gray), St-Germain Elderflower liqueur and orange bitters. I'd have it alongside the brined, wood-grilled prosciutto-wrapped pork chop. Speaking of prosciutto, I'll bet you wouldn't expect to find the cured Italian meat in a cocktail. 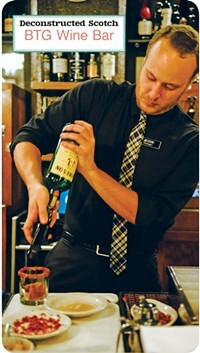 That is, unless you visit BTG Wine Bar (63 W. 100 South, Salt Lake City, 801-359-2814, BTGWineBar.com), where the mixologists are über-creative and libations run from classic to post-modern. To wit, the Deconstructed Scotch, which features Jameson Irish Whiskey, a housemade vanilla-infused ice cube and, yes, crispy prosciutto served in a honey-rimmed cocktail glass. 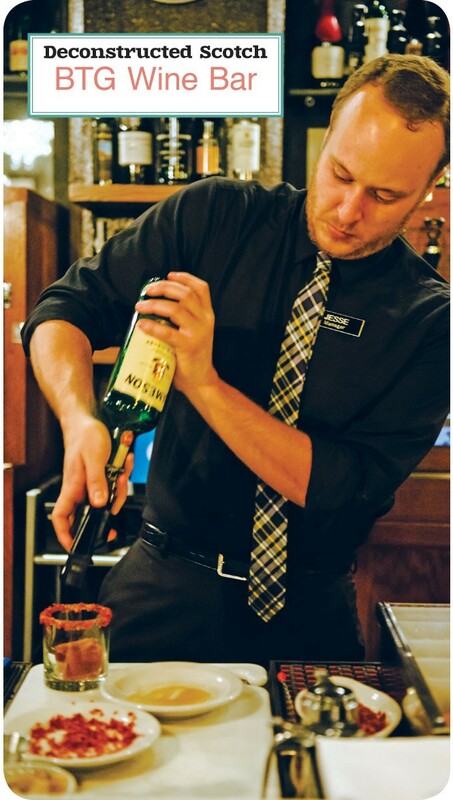 For a classic Irish Coffee—hot coffee, Irish whiskey and sugar—look no further than MacCool's Public House (1400 S. Foothill Drive, Salt Lake City, 801-582-3111; 855 W. Heritage Park Blvd., Layton, 801-728-9111; 2510 Washington Blvd., Ogden, 801-675-5920, MacCoolsRestaurant.com), where the only thing not Irish is the all-American shuffleboard table, and where the Irish Coffee comes piping hot with a thick, creamy layer of luscious foam on top. The only thing that could improve it would be the incomparable lamb ribs alongside. But wait: Before leaving Ireland, let's venture up to Ogden for the Irish Shebeen cocktail, served at the Title 32B Lounge at Hearth on 25th (195 25th St., 801-399-0088, Hearth25.com). It's an old-school-meets-new libation that mixes Bulleit Rye Whiskey with Carpano Antica Formula Sweet Vermouth and Lillet Blanc, served up in a post-prohibition atmosphere. After a day of shredding Utah's unsurpassed snow, I like to head up to The Aerie Restaurant & Lounge at Snowbird (Cliff Lodge, 801-933-2160, Snowbird.com) for the Aerie Cider, which makes for either a perfect après-ski cocktail or after-dinner nightcap. It's an irresistible mix of Bacardi rum, cinnamon schnapps and hot apple cider, garnished with a cinnamon stick—the perfect way to end a perfect day on the slopes.